Inka Strotmann (née Menne, 1972) grew up in East Frisia and was trained as a typesetter. 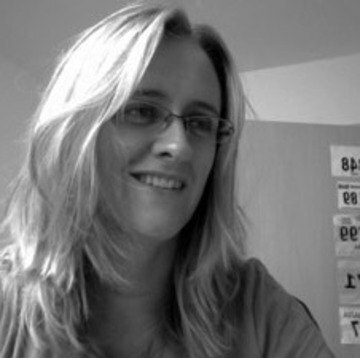 When studying communication design in Potsdam she specialized in type design and typography. Inka worked for Luc(as) de Groot at his FontFabrik before she came to FontShop International where she is Chief Font Technician. Inka was a member of the Forum Typografie Potsdam, and her typeface Grassy won at Linotype's 3rd International Digital Type Design Contest. She also designed the typeface ForumTypen and offering type services under the label Fontameise she made for example CE, Turkish and Baltic versions of FF Scala, FF Seria, FF Nexus and FF Dax.